Jessie Lee Ward . . . multiple 6-figure-a-month, 7-figure-a-year earner; passionate about empowering women, leading her team, saving dogs, and children. Her trademark line: "Why. Not. You?" 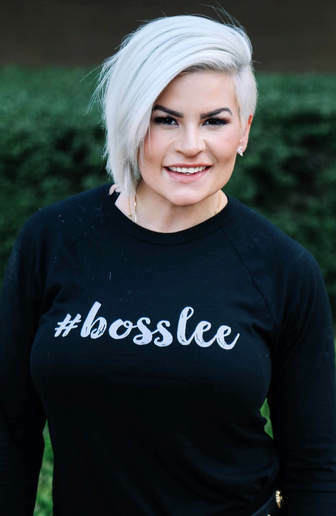 Jessie Lee Ward became a multiple 6-figure-a-month, 7-figure-a-year earner after joining community based marketing in October of 2015 with no prior experience. Jessie Lee has degrees in marketing and communications, and is passionate about empowering women, leading her team, saving dogs, and children. She has been on the cover of Networking Times, the professions premier magazine, has been a keynote speaker at Go Pro - Most Powerful Women, and the Association of Network Marketing Professionals, has been featured on Brad Lea's "Dropping Bombs" podcast, and also has her own highly-rated podcast "The People's Mentor". The incredible team that humbles her daily has thrown her company into full-blown momentum with no signs of slowing down with their energy, their heart, and their determination. Jessie Lee has built her business nearly entirely online via social media with no phone calls, no meetings, no events, and no leaving her family with the exception of going to her largest markets to build leaders. Jessie Lee has won every single community based incentive company's have thrown out, including numerous trips to Mexico, Louboutin shoes, apple iPads, apple watches, Lululemon gift cards, custom bicycles and more.